Fort Self Storage caters for household customers who require temporary or long-term storage space for personal possessions. Our domestic self storage facilities are clean, dry and secure and perfect for the storage all kinds of household items. Perhaps you need to store garden items, excess furniture, car or caravan. Perhaps your moving house and need temporary storage. Whatever the reason we can accommodate. Wide range of cardboard packing boxes, bubble wrap and packing material available. 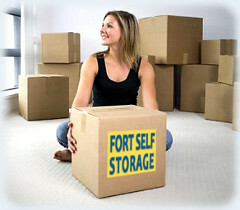 Fort Self Storage Birmingham provides a domestic removals service that is second to none. We guarantee to provide the best household removal in Birmingham, offering highly competitive prices and unrivalled levels of customer service. For many domestic customers, the execution of a home removal plan removes the headache of a home move. We at Fort Storage Solution Birmingham are keenly aware of the issues faced by our domestic customers. Because of this, we are the perfect partners for you no matter the scale of the removal. We are well established within the Birmingham household removals sector so feel confident to call us to discuss your domestic removal needs. Fort Self Storage delivery service Birmingham offers an efficient and friendly delivery service for consumers. No delivery job is too big or too small. Our team of friendly and courteous pick up and delivery operatives will ensure that your package is handled with the highest possible level of attention and care. Fort Self Storage will deliver small or large packaging, extra large household items, fragile items or items that are time critical. As with our business courier service, we can facilitate deliveries 24 hours a day, 365 days per week. Deliveries can be local or long distance For your peace of mind, all our drivers are equipped with mobile phones, and all vehicles are tracked. We will also provide you with proof of delivery of your item. If you have an item to be picked up and/or delivered, then Fort Storage courier service is your reliable and affordable delivery partner. Call our friendly courier team to discuss your delivery requirements.